In the evening on the first day of EMS2019, a Spanish Social Dinner will be held for everybody to join. The Social Dinner costs EURO 115, -, included in the price is a BBQ & Paella buffet as well as an open bar during dinner, a spectacular Spanish evening with DJ and dance. Registration for the Spanish Social Dinner is possible through the same system as used to register for the congress. You can register at the same time as you register for the congress or you can do it later. 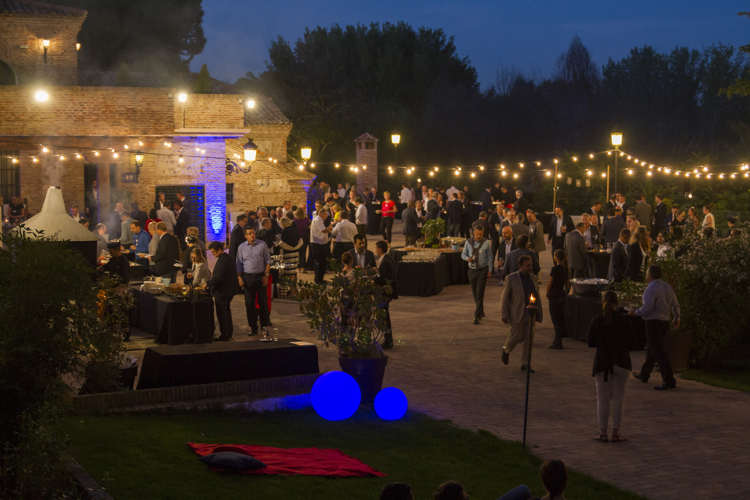 The Spanish Social Dinner will take place at Palacio Del Negralejo, an old farm playground that still retains the air of aristocratic, exclusive and rural while surprising everyone who visits it. Palacio Del Negralejo is placed 17km from Madrid City center. The estate includes manicured gardens, patios, and other outdoor spaces. The kitchen prepares dishes of vasco-castellano with a touch of the author that impresses even the most demanding palates. Transportation from Palacio de Municipal de Congresos to Palacio Del Negralejo and back will be provided. More information regarding pick-up time etc. to be announced closer to the event. Hope to see a lot of you at this festive event.